Writing and reading are part of every aspect of your child’s life and while children do lots of literacy-based activities at school (e.g. writing, reading, handwriting, phonics), there are lots of ways that you can support your child at home. This article aims to give lots of suggestions and ideas for making writing fun and meaningful at home and improving achievement at school. Be a reading model and read to your child (e.g. stories, poems, factual information such as timetables, magazines, newspaper reports, letters, emails, adverts, instructions) – discuss the ways authors use words to shape their ideas. Be a writing model and encourage your child to write alongside you for real purposes e.g. shopping lists, birthday/Christmas lists, labels, invitations, thank you letters, emails to friends, postcards, cards for relatives, scrap books of holidays/hobbies/special events, diaries, posters for real events, short stories or poems for family members, menus, texting, bedroom or house rules. Have an exciting selection of writing materials available e.g. a range of pencils, pens, coloured crayons, writing icing, writing soaps for bath time. Praise your child for trying and don’t dwell on mistakes. Focus on content and enjoyment of writing for fun and for purpose. Encourage young children to look at print on road signs, food packets, in books, magazines and catalogues. Go to the library and read favourite books over and over again. Enjoy them. Try fun activities that strengthen your child’s hand e.g. cutting, painting, squeezing playdough, picking up small things with tweezers and pegs. Use magnetic letters and make small words together. Leave a message on the fridge door and encourage your child to reply. Praise play writing – early squiggles and marks show that your child is beginning to understand writing. Make up a story together about one of their toys. You write the story as they say the words. up a little booklet. Take photos and use the pictures in the book. Buy stickers of a favourite TV programme or book. Make your own little book about it. Let your child write their own Christmas cards, thank you letters, cards or emails to friends or relatives, invitations to a party, or a list of things they need to take on holiday. Cut up letters from magazines for children to make their names and short sentences. Make handwriting interesting – practise drawing letters in sand, water, or paint, use white boards, playdough, pastry or shaving foam. Continue talking about experiences. This remains the key to good writing. Talk about what has been seen, heard, smelled, tasted and touched with as many details as possible. Create silly sentences or tongue twisters using alliteration (a group of words that all begin with the same sound) e.g. Sad Sid slipped on Sam’s salad sandwich. Encourage your child to rehearse their sentence out loud before they write it down. Also encourage children to punctuate their sentences with a full-stop and capital letter. Celebrate what the writing says first of all rather than focusing on errors. If a tricky word has been used in an interesting way, this should be praised even if it is spelled wrongly. Remember, it is difficult to get everything right when you are learning! Let children write part of shopping lists and then let them be responsible for carrying the list and finding certain items. After making a cake, doing a craft activity or playing a game, challenge children to write instructions for someone else to follow. Make up fun ways to remember how to spell difficult words e.g. Big Elephants Can Always Understand Small Elephants = because, what has a hat, when has a hen. Play ‘I Spy’ and ‘Hangman’ which encourage use of sounds and spellings. Encourage your child to learn weekly spellings and phonic group spellings. Write the spelling in sentences with accurate punctuation and practise high frequency words and handwriting. Also ensure your child completes homework on time, take an interest in what they are doing, and praise effort. Help your child write a letter to their favourite author. Details can be found on the internet. As with early writers be aware of occasions when children can be involved in writing – shopping lists, cards, phone messages, notes to friends, invitations to family occasions, emailing friends, blogging, texting (be aware of e-safety). Write information pages or booklets about a hobby or something they find interesting e.g. dinosaurs, class topics, sports stars etc. Illustrate and label. Encourage use of paragraphs for blocks of information. Write postcards from holidays and record holiday events in a diary that can be shared with friends or family. Provide your child with a comfortable place to work and exciting writing materials. A dictionary or spell check on a computer would also be useful. Let your child see you being a model writer but also let them see that you are not perfect! Checking, making changes and editing what you write are a natural part of writing. 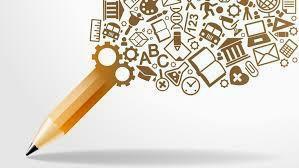 After your child has produced written homework ask them to proof read their work for accuracy. After they have done this, have a look at the piece yourself. Ask your child what his/her writing targets are from time to time and help them work specifically on these. Read books to, and with, them that are at a higher level than their own reading to expose them to ambitious vocabulary and complex sentence structure. If your child has barriers towards writing, or low self-esteem as a writer, praising and valuing your child’s writing is very important. Your child may need support when they write and may need you to talk through their ideas first and help with composing and structure. Young children often need help with ideas to write successfully. Help your child go over problem spellings. It is extremely frustrating for children to have to battle with spelling and handwriting when they want to get their ideas down on paper. Knowing high frequency spellings will aid the flow of writing and enable the use of a vocabulary rich language. (Consider being trapped into writing ‘big’ when you really wanted to write ‘enormous’). Encourage children to sound out and have a go at more tricky words or give them the spellings. Remember that writing does not have to be lengthy or boring! Writing for real purposes is more meaningful and rewarding for children and creates a fun and interesting way for children to develop their writing skills. Many discussions with parents regarding spelling are often centred around the fact that their child seems to forget how to spell words, even when they have spelt them correctly in a test. This article contains spelling activities that aim to not only help your child to remember the spelling of new words but will hopefully be fun to do too. Encourage your child to use the words they’ve practised - write stories together, keep a notebook of all the words they’ve learned to spell so far. Encourage your child to try spelling the word in parts, by breaking it up by breaking it up into syllables and sounding it out. Try to focus on prefixes, e.g. e.g. unhappy, compound words, e.g. flower/pot and root words, e.g. bene beneficial. At Binley Woods we use a spelling scheme of work called Read Write Inc. We send home words we are practising but only send home spelling lists in Year 5 and 6. The following method may be useful. Encourage your child to look at the word and say it out loud. Then cover the word and ask your child to write it down from memory. Lastly, check to see if they have spelled the word correctly. Colour in and illustrate words – write a word in one colour, then go over it again and again in different rainbow colours. Repetition will help your child to learn the shape of the word. Writing words with coloured chalk on black paper is another way of carrying this out. Write each spelling word on 2 cards and play a matching game. Let your child use their finger to write words on your back – guess what they have written and then reverse the process. Children seem to love doing this! Have fun writing words in the air, on different textures e.g. sand, condensation. Flatten a piece of plasticine and use a pencil to write the word into it. Note any patterns within the word and then smooth the plasticine and challenge your child to write the word from memory. Encourage your child to draw pictures to accompany their spelling words and then write the words underneath. 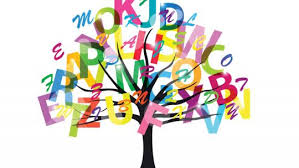 See if your child can spot their spelling words in a reading book or comic. Make flashcards to help you when revising spellings with your child. Find a picture in a magazine and try using the spelling words to write sentences relating to the picture. Count the number of letters each word has. Focus on how many vowels, consonants, double letters etc. Jumble up the letters and see if your child can unscramble them correctly to spell the word. Ask your child to write down their spelling words. Ask them to colour all the short vowels red, the long vowels blue and all the blends green. Make a word search using the spelling words and ask your child to do the same. When you have both finished making your word searches, swap them over and see if you can find the hidden words. Let your child use Scrabble tiles to spell the words. Then ask them to add up the score for each word. Which word is worth the most points? The least? Scrabble is an excellent game to play when learning new vocabulary. Challenge your child to write a really silly sentence, including as many of the words on their list as possible. Encourage your child to spot familiar letter patterns in the words on their spelling list and then to collect other words that contain the same letter pattern. Challenge your child to find all their words in the dictionary. You might like to set them a time limit or have a race between you as to who can find each word the fastest. Write the words on your child’s list, hidden in a number of letters. Ask your child to find them within a set time, e.g. nftkkiteingh – kite. Produce a crossword puzzle together using the words on a spelling list (you will need a blank grid and dictionary for this). Once upon a time in a gloomy castle there lived a beautiful princess etc, etc. How do we remember spellings? By remembering what we want to remember!